Community Corner - Patterson Village On Facebook: The Yoga Den. 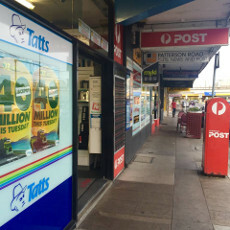 After training with Tatts, Australia Post and in-store Melissa and Daniel have now taken over the ownership and day to day management of Patterson Road Tatts, News and Post. Most customers will have already met Melissa and Daniel over the past few weeks as they have been working in store in the lead up to the changeover, be sure to call in and introduce yourself if you are yet to meet up. While it’s mostly business as usual for Patterson Road Tatts, News and Post, customers will soon notice some changes happening in-store. One of the main changes you will see is a brand new Tatts area, bringing the very latest in-store displays with up to date information for our customers. Work will commence on the update soon and is planned to ensure little, if any, disruption for customers during construction. 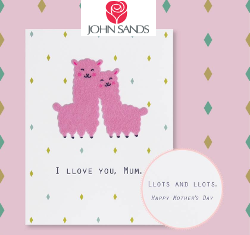 For Mother's Day we have a great range of greeting cards from John Sands. Call in and browse through our range of Mother's Day cards there’s a great range on display you're sure to find one that's just right. delighted to be able to select her own gift. 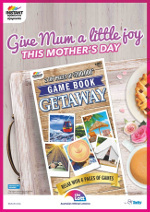 A Tatts Game Book Getaway is another great gift idea available in-store. 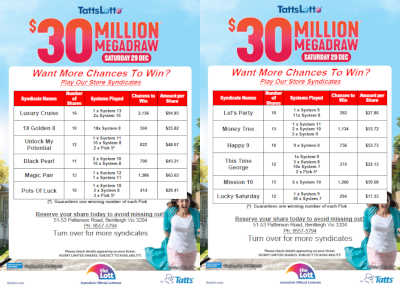 Superdraw syndicates and advanced entries are now available for the $21 Million TattsLotto Superdraw on Saturday 13th May. Call in today and pick up your ticket to dream or contact us to reserve your syndicate shares. The official AFL Team 2017 Football Cards are once again proving to be very popular and we have new stocks in-store now for you to continue to build your collection. Team 2017 AFL Football Cards are now available for just $2.99 a pack. 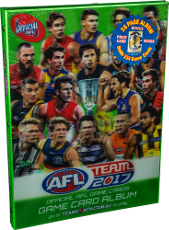 Also available in-store is the AFL Team 2017 Game Card Album. Keep up to date with all the happenings in our local community with Patterson Village on Facebook at www.facebook.com/pattersonvillage. It’s a great way to find out about your local community events and news. Among the news you will find there is the opening of a new business in Patterson Village, The Yoga Den at 41 Patterson Road. 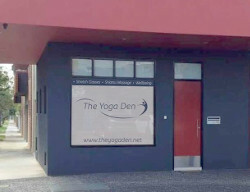 The Yoga Den is a boutique wellness centre. It offers small personalised classes in stretch therapy/yoga from beginner to intermediate, Shiatsu and Oriental Therapies. The centre is called a Den which is a quiet place where one can find solitude from the fast pace of life. As classes are run in small groups, Denis at The Yoga Den is able to provide individual and personalised attention that is often lacking in large class forums. For more information visit www.theyogaden.net.